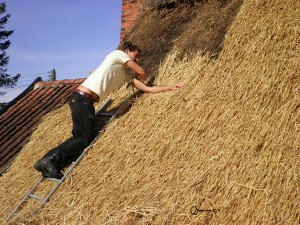 Welcome to the home of the Conservation of Traditional Thatch Group (CoTTG). It aims to engage with the issues surrounding this topic and to work with anyone who owns or is responsible for an historic, thatched building. This includes homeowners, local authorities, grant giving bodies, thatchers and other professionals concerned with the built environment. Change is inevitable. However, with regard to traditional buildings, conservation is the management of this change in such a way as to maintain the special historic interest and character of the building. › Click here for more information about CoTTG.